Designed by Don Handel, Nadine Chahine and Rod McDonald in 2010, 2015. Published by ITC. 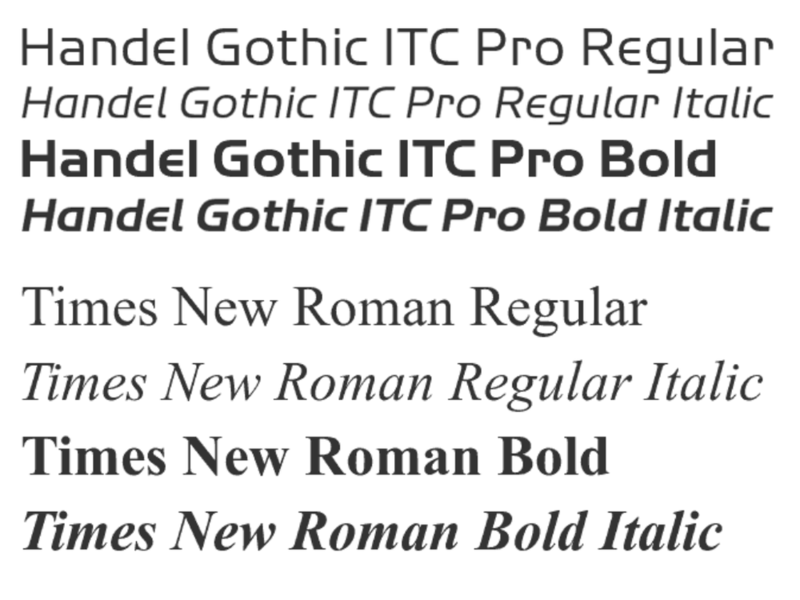 ITC Handel Gothic supports up to 84 different languages such as Urdu, Arabic, Spanish, English, Portuguese, Persian, German, French, Turkish, Italian, Polish, Kurdish (Latin), Romanian, Dutch, Hungarian, Serbian (Latin), Kazakh (Latin), Czech, Swedish, Belarusian (Latin), Croatian, Slovak, Finnish, Danish, Lithuanian, Latvian, Slovenian, Irish, Estonian, Basque, Luxembourgian, and Icelandic in Latin, Arabic, and other scripts. Act, and you shall have dinner. Wait, and you shall be dinner. The Handel Gothic™ typeface has been a mainstay of graphic communication for over 40 years - all the while looking as current as tomorrow. Designed by Don Handel in the mid-1960s, and used in the 1973 United Airlines logo developed by Saul Bass, Handel Gothic was an instant success when released to the graphic design community. Its generous lowercase x-height, full-bodied counters and square proportions make the design highly readable at a wide range of sizes. Handel Gothic's slightly idiosyncratic character shapes gave the face a futuristic look 40 years ago that retains its power today. In addition, its Uncial-like lowercase is instantly identifiable - and unique among sans serif typestyles.